Like in most things, you need to have a plan to succeed in content marketing. Having a documented strategy could mean the difference between failure and success. In fact, 61% of successful content marketers have a documented action plan while only 13% of unsuccessful ones do. Bottom line, you need a well thought out strategy to become successful. Here are six steps that you can take to ensure your content marketing plan is effective. Your target audience should be at the center of your strategy. They are who you will be producing your content for after all. Before you can begin creating content, you must figure out who your target audience is. What are their needs? What challenges are they facing? What do they want to know? After gaining insight into the mind of your audience, you can begin creating content that addresses their needs and concerns. Next, you need to know where they hang out online. Where do they go when searching for information? Which platforms do they prefer and what content format resonates with them better? Do they prefer infographics, blogs or videos? Many marketers will go as far as creating a persona and identifying the various stages of their buyer’s journey. This information will guide the type of content, its format, and the specific sites and platforms you decide to share it on. Now that you've identified your target audience, you can create content that directly addresses their concerns. If they have any questions, you should answer them adequately. If they need insight on a topic, provide quality and relevant information. Blog posts – published on websites regularly. EBooks – longer and less frequent than blogs. 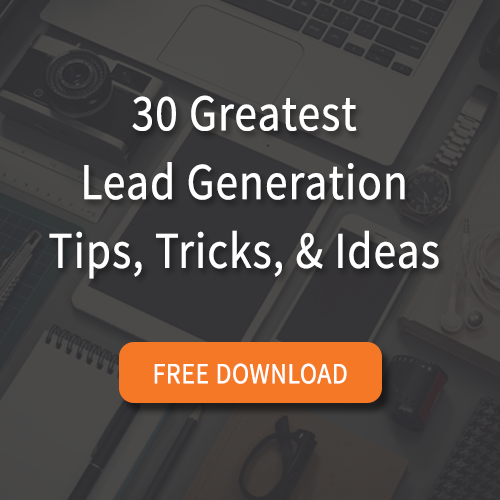 Leads download them typically after submitting their contact information. Infographics – graphic visual representations of data. They communicate information quickly and clearly. Videos – videos can be shared across multiple platforms. They are the most shareable content on social media. Podcasts – digital audio files that allow for a deeper dive into a topic and more explanation. Your ultimate aim at the end of the day is to turn visitors into leads and then help guide leads throughout the buyer's journey. After defining the intended goal, consider the context. At what stage of the buyer’s journey is the audience reading the content? You wouldn’t expect a top of the funnel lead to click on a CTA prompting them to buy for example. Make the CTA short and actionable. A long and wordy one may confuse the reader. They will also not be visually appealing especially when using a button. Where you place the CTA is also very crucial. For example, a CTA placed above the content may have less clicks than that placed below it. Many marketers agree that multimedia content plays a huge role in capturing the audience’s attention and promoting engagement. However, some marketers may argue that creating multimedia content is expensive and not cost-effective in the long run. Granted, creating videos and graphics may be costly if you are outsourcing to professionals, but the value of multimedia content cannot be overstated. If you don’t have enough resources to produce quality multimedia content, you can still make due with what you have. For example, you can take good pictures and videos using a smartphone. Some marketers run the risk of sounding too promotional when creating content. Although the underlying intention is to create business, content marketing is not about pitching products and services. It's about providing value to your audience through relevant and useful information to help nurture them throughout the buyer's journey. The online market has changed significantly over the years, and consumers have become wary of posts that try to sell them something directly. Marketers have to adjust accordingly or risk losing their credibility. Your content should focus on providing real value to your audience even, at times, at the expense of your brand goals. Avoid trying to sell your audience too soon. Even when done naturally, you still run the risk of sounding too promotional. Don’t hold back information your audience could benefit from. Being generous reveals confidence and leadership. You should portray yourself as a thought leader and aim to help your audience achieve their goals. Having a strategy in place doesn't mean it’s going to yield your ideal results right away. A successful content marketing strategy will grow and improve as time goes on and you find out what resonates best with your target audience. You can track your progress by collecting useful data using tools such as Google Analytics. Gather information such as how many people visited your site, where they came from, what they did, how long they stayed, etc. You can use this data to improve your approach for maximum success. A good content marketing strategy is one that is focused on providing true value to the audience. You should take time to understand the needs of your target audience and create quality content that addresses their needs. A content marketing strategy is not cast in stone; you should be able to measure your performance and make the necessary adjustments for maximum results.